I was nervous about changing my hydraulic disc pads myself, but actually its really easy. Check out a Park Tool video on changing these pads-it will take you about 10 minutes. These pads work well and are easy to install. There was no need for a break-in period and they are quiet. They were the same as the original brake pads that came on the bike and lasted about 7800 miles. I prefer the metal compound pads for most situations. They have faster initial bite and overall better stopping performance in wet and dry conditions. They also last longer than the organic compound pads. The only situation where I dont like them is riding in a race peloton. 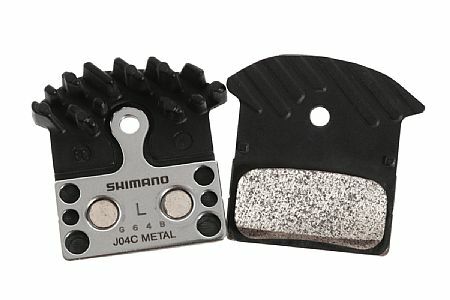 Shimanos Servo Wave Technology causes the braking to be a little touchy with these pads and its harder to make subtle changes in speed. Excellent stopping power, not much noise. Excellent price! Excellent stopping power, not much noise. Excellent price!, shipping cost little more than one would expect for a little envelop with 2 pads in it.